National oil company Petroliam Nasional Bhd (Petronas) has started oil production from the Tanjong Baram field on Aug 18, 2015. The field is operated under a risk service contract (RSC) with EnQuest Petroleum Development Malaysia Sdn Bhd as its operator in partnership with Uzma Energy (Sarawak) Sdn Bhd. Tanjong Baram is the fifth RSC that has achieved oil production after Berantai, Balai Cluster, Kapal Banang Meranti (KBM) Cluster and Tembikai. 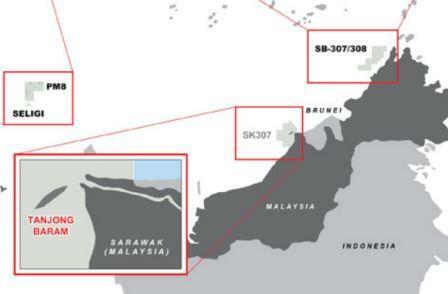 Petronas said in a statement on Wednesday that the Tanjong Baram field is estimated to produce an average 2,000 barrels of oil per day. The field is located offshore the coast of Miri in the state of Sarawak, Malaysia. The development consists of a lightweight and unmanned platform with production tied in to Petronas Carigali Sdn Bhd’s (PCSB) West Lutong Drilling Platform A (WLDP-A) complex via a flexible production pipeline. Petronas vice president of Malaysia petroleum management Muhammad Zamri Jusoh said the achievement marked another successful milestone in RSC projects for Petronas. “The success would not have been possible without support and cooperation of the RSC partners”, he said. To date, Petronas has awarded six RSCs namely: the Berantai field to Petrofac and SapuraKencana Petroleum Bhd in January 2011; the Balai Cluster offshore Sarawak to a consortium comprising Roc Oil Malaysia (Holdings) Sdn Bhd, Dialog Group Bhd and E&P Venture Solutions Sdn. Bhd. in August 2011; the KBM cluster to Coastal Energy KBM Sdn Bhd in June 2012; the Tembikai Chenang cluster to VESTIGO Petroleum in October 2013; the Tanjong Baram field to EnQuest Petroleum Developments Malaysia Sdn Bhd and Uzma Energy Venture (Sarawak) Sdn Bhd in March 2014; and Ophir field to Ophir Production Sdn Bhd, a joint venture company between Octanex Pte Ltd, Scomi D&P Sdn Bhd and VESTIGO Petroleum Sdn Bhd in June 2014.